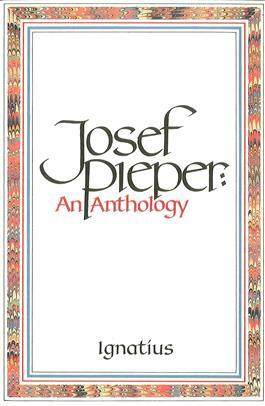 Near the end of a long career as one of the most widely read popular Thomistic philosophers of the twentieth century, Josef Pieper has himself compiled an anthology from all his works. He has selected the best and most representative passages and arranged them in an order that gives sense to the whole and aids in the understanding of each excerpt. 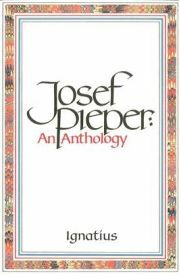 Pieper's reputation rests on his remarkable ability to restate traditional wisdom in terms of contemporary problems. 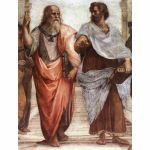 He is a philosopher who writes in the language of common sense, presenting involved issues in a clear, lucid and simple manner. 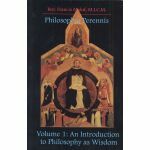 Among his many well-known works included in this anthology are selections fromLeisure: The Basis of Culture, The Four Cardinal Virtues, About Love, Belief and Faith, Happiness and Contemplation, and Scholasticism.